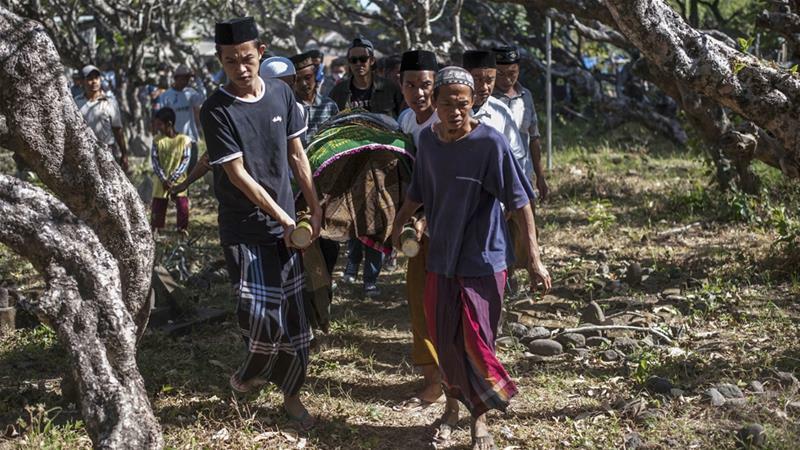 The death toll from an earthquake on the island of Lombok has surged to 460, said a national disaster management agency official on Thursday, August 16. A total of 7,773 people sustained injuries as the quake caused damage to 71,962 houses, 671 educational facilities, 52 health infrastructures, said Sutopo Purwo Nugroho. The damage included a hospital and 11 health clinics, 20 office buildings and six bridges which had collapsed, he added. “That forced 417,000 residents to flee their homes and take shelter in makeshift encampment or under tarpaulins. These figures are expected to rise as rescuers rush to pull out victims from the rubble of twisted buildings,” he told Xinhua news agency in a text message. Sutopo said a number of landslides had occurred at several spots after the quake which caused an estimated financial loss of US$509.6 million. On August 5, the 6.9-magnitude quake struck off Lombok Island, a week after a 6.4-magnitude quake hit the tourist destination island. Since then, hundreds of aftershocks have followed.